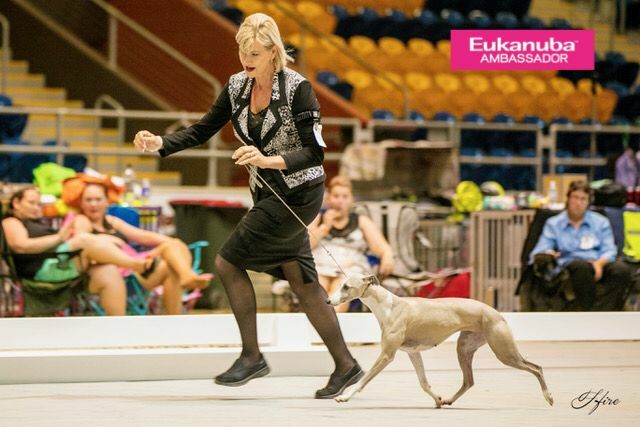 Winning Best In Show at the Whippet Club of Qld under Mr Harold Tatro USA was the highlight of this young ladies blossoming career. At just 2 years of age Asscher has chalked up same major wins also taking out Best in Show at last years Hound Club of Qld show. Her stunning, flowing lines enhance her lovely shape. 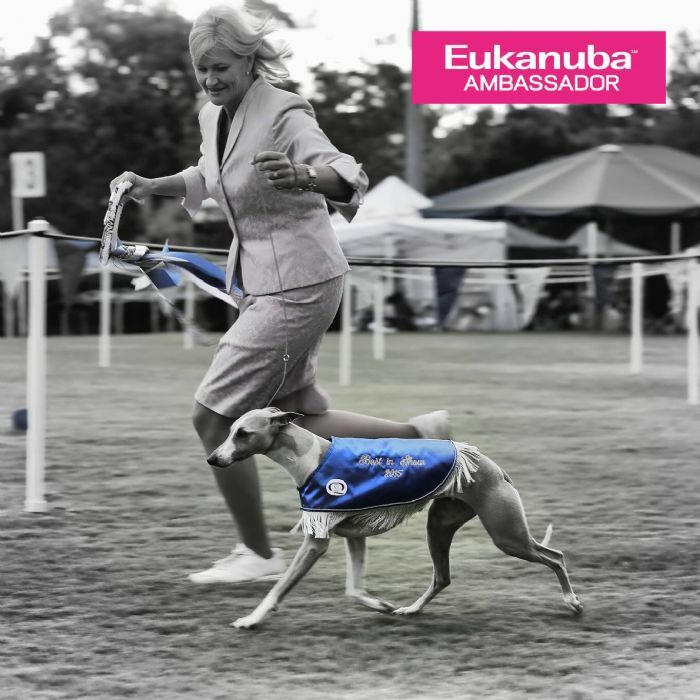 Only lightly shown, She has many other wins under her belt including Runner Up Best in Show Qld Sight Hound Show & Qld Open Show Spectacular top dog & top puppy of the year 2013. With her outstanding pedigree & huge movement Asscher really is a very special young lady. JUST LOVE HER!!! !